If Foxtel ever needed a reason to celebrate, it’s 2015. This year marks 20 years since the Subscription TV provider launched in Australia. It will mark the occasion at the ASTRA Awards next month, acknowledging many of the faces across its two decades, and culminate on October 23rd. The anniversary comes on top of more technological change and features this year including Presto TV, Foxtel Broadband, a new Arts channel and the IQ3 due later this month. Foxtel’s Director of Television Brian Walsh tells TV Tonight that leading his personal highlights for the year is a strong year in local drama. 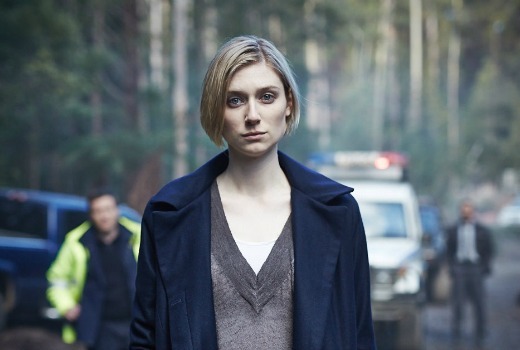 “It’s been a concerted focus by Foxtel to lift the awareness of our drama offerings. To that end last year we launched the new BBC deal and shifted the output deal from the ABC to Foxtel so that all the primary BBC scripted product would debut first on Foxtel.” he says. “We renewed our exclusivity with HBO. So we have secured the two main pipelines of premium British and American content. It was obvious we needed to absolutely lift our spend and commitment to Australian drama. So I’m pleased this year we will have some really strong drama properties. “Deadline Gallipoli is a different approach to the Gallipoli story but nonetheless a very relevant story for today which is freedom of the press. It’s played out in the news in 2015 as recently as today with Peter Greste arriving back in the country. The story of freedom of expression is a story that’s as relevant today as it was in 1915 when the journalists were censored for telling the truth about what was going on in the Gallipoli peninsula. 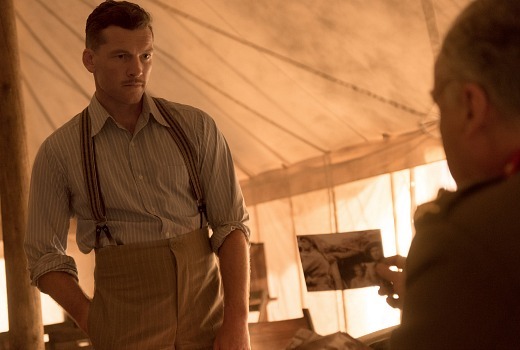 To air as 2 x 2hrs on Showcase in ANZAC week, it centres around 4 war correspondents, Ashmead Bartlett, Keith Murdoch, Charles Bean and photographer Phillip Schuler. A Place to Call Home will begin with the first two seasons (including an alternate ending) replay before a third season premieres later this year. “A Place to Call Home was an opportunity that came for us last year and the embedded audience who love that show will follow the series when it moves across to Foxtel,” says Walsh. “The first cast table read happens in a few weeks time and it will get underway with production soon. It will be on air in the second half of the year. 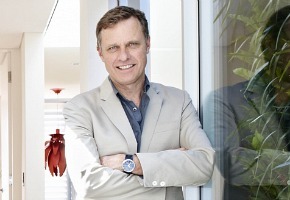 “We’ll also take a different approach to marketing it than when it was on Seven. Subscription audiences are different in the sense that they tend to be more discerning drama viewers. Walsh is unapologetic that the appeal of the show was its ability to draw in more older subscribers to the service. This contrasts with some of the very reasons the show was axed by Seven. “Unlike Free to Air we’re not fussy about how old you are. The argument that Free TV often suggests that they have to cater for grocery buyers, 25-54 doesn’t apply in the subscription universe,” he says. The Kettering Incident (pictured top) is a distinctive mystery drama that centres around the disappearance of two girls in the wilds of Tasmania 15 years apart. “I’ve seen episode one at it’s quite a stunning piece of television. It’s beautifully shot and the vistas in Tasmania are stunning, but it’s a very bold, dramatic piece that we haven’t seen the likes of in Australia,” he continues. Audience favourite Wentworth will build to a mighty crescendo for season three. “Wentworth is consistently good in terms of its storytelling and performances. Series 3 which I have watched over summer is captivating. It launches in April and Pamela Rabe gives one of the best performances I’ve seen on Australian television in a long while. Banished, starring David Wenham as Captain Arthur Phillip, is an epic drama about Australia’s first convict settlers, written by Jimmy McGovern. “The BBC are so confident with it they are rolling it out globally in May. It’s an epic production. I’ve only seen 20 minutes of it but from what I’ve seen it looks superb,” he insists. Moving to international drama, Walsh nominates some big award winning titles as annual highlights. “The Affair has cleaned up at the Golden Globes is one to watch out for. 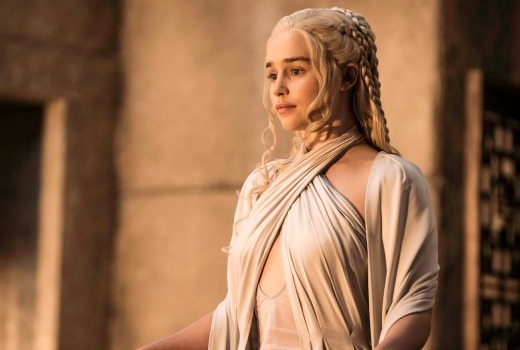 The return of Game of Thrones, the biggest show in the world, will be awesome when it comes back at Easter. The Walking Dead is back next Monday. The final season of Mad Men will be terrific to watch. Another anticipated international drama is Wolf Hall starring Damian Lewis as Henry VIII and Julie Walters in Indian Summers. Lastly he nominates The Casual Vacancy, HBO / BBC 3 part miniseries, based on J.K. Rowling’s novels and featuring Michael Gambon, Keeley Hawes, Rory Kinnear. But there are also big hopes for a new comedy project due mid-year by producers Rick McKenna and Laura Waters. “It will combine some of the biggest names in Australian comedy with some of the new, emerging talent in a weekly one hour show. It will tap into topical subjects, great Australian characters, and I think it will be fresh, funny and we are sparing no expense in terms of investing in the production of the show,” Walsh insists. Next week Gogglebox launches on LifeStyle, ahead of its screening on TEN. “Gogglebox is a smash hit in the UK and we did a dry run with the cast last week. I think it will get some solid cut through. What viewers will find as the episodes roll out is the people watching television become as pivotal as the shows being critiqued. “We have some real characters that Australians will relate to. Is Australia ready for more of The Real Housewives of Melbourne? “Housewives is bigger, funnier, more controversial I think. All the episodes are entertaining but Episode 2 where one of the new housewives comes undone is pretty eye-popping stuff!” he declares. “The housewives from season one have certainly spent the hiatus getting fit and healthy. The return of Australia’s Next Top Model mid April includes a star line-up of guest judges including Linda Evangelista, Jean Paul Gaultier and Kelly Osbourne. Walsh says the change was made for several reasons. “One is because it is 9 seasons old but two with the absence of Charlotte we knew we had to approach the show differently so there weren’t any comparisons made. So it’s a pretty star-studded line-up of guest judges who are featured in the show,” he explains. “We also get to the contestants much quicker. You see the top 12 girls straight up and it’s very much about the high-end of modelling and fashion. All the research told us viewers wanted to cut straight to the chase. In the lifestyle genre he nods to Grand Designs Australia and Tony Robinson’s Tour of Duty. “He travels around Australia visiting various country owns and invites Australians to bring in memorabilia that has been handed down through their families. It’s not unlike Antiques Roadshow in the sense that it is people reconnecting with their past through objects. Sport highlights include the Rugby League premiership, ICC Cricket World Cup and FOX Footy’s AFL. Foxtel Arts launches in March with Margaret Pomeranz co-hosting SCREEN with Graeme Blundell. “Foxtel Arts will be a wonderful channel for people who like live performance. Our opening weekend will feature Swan Lake the 50th Anniversary production choreographed by Rudolph Nureyev, The Sound of Music by NBC, Les Miserables O2 concert and Andre Rieu. NBC’s Peter Pan and a live Billy Elliot recorded a few weeks ago in London will follow later. And TV Tonight can reveal Simpsons fans are in for a treat: 552 episodes played over Easter, culminating in the Simpsons movie. “Its appeal continues to endure and it is synonymous with Foxtel. Bart Simpson featured in our very first television commercial some 20 years ago,” Walsh concludes. There are some good shows coming up this year on Foxtel. I am Particularly looking forward to Wentworth and The Kettering Incident. Bring it on! David, on another note, the Seven Wrap? Sorry if I have missed something! I mentioned in the last newsletter that alas, Seven did not lock in a time for an interview this year. After 5 years of Programmers’ Wraps it was very disappointing. Perhaps the left hand does not know what the right hand is doing. Ok, thanks. Disappointing indeed. P.S love the new look. Fantastic! Wealthy pensioners are one section of Foxtel’s subscriber base and they need to provide content for them. Different from a commercial broadcaster that needs to cater to the audience advertisers most want. Describing Wolf Hall as anticipated is stretching things a bit but lots of good stuff there. No plans to end Wentworth. Story is in reference to a big season finale. The Programmer’s Wraps articles have been great David – really insightful pieces. I feel like you’ve managed to provide a bit of ‘insiders’ information’ as opposed to just a list of forthcoming titles. Minor point – I think there’s a word or two missing on a sentence about Billy Elliot, three paras from the end of the Foxtel piece.